April showers today, again, and another dreary day. It feels like a very long and slow spring. But, our year end and inventory are complete and the store is filling up again. This week we have received new greeting cards and art supplies and of course an increasing selection of wonderful books! May will be here before we know it along with the return of those who have gone south for the winter – and we will be ready. 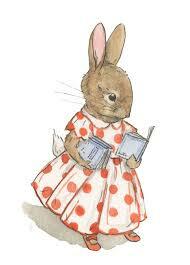 We have a lovely assortment of Easter books for little people, a great selection of board books for babies, and novels for the older kids. Birds of Eastern Canada – the 2nd edition of the DK guide – just in time for the return of the birds, this definitive field guide uses beautiful close-up photography to showcase over 350 bird species found in Eastern Canada. The American Agent by Jacqueline Winspear is the 15th in the Maisie Dobbs series of mystery novels. This one involves an investigation into the death of an American correspondent in London during the Blitz. Transcription by Kate Atkinson is now out in paperback. This novel follows a woman from the Second World War, and her work for MI5, to the present time, as secrets are kept and revealed. Warlight by Michael Ondaatje is also new in paperback. This is one of the best books you’ll read this year – the story of two abandoned teenagers in London in the days and years immediately following the Second World War. The Man With No Face by Peter May is a new stand alone novel that takes place in Brussels, and a case that involves the death of a British Cabinet minister. 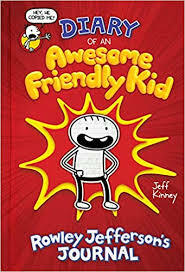 Diary of an Awesome Friendly Kid by Jeff Kinney (of Wimpy Kid fame) brings us Rowley Jefferson’s Journal.